The beginning of the 4th round of the World Team Championships was attended by representatives of the US embassy in Astana. The Deputy Chief of Mission Mr. Theodore Lyng, the Counselor for Public Affairs Mr. Christian Wright and the Assistant Cultural Affairs Officer Mr. Lance Erickson greeted the entire US chess delegation before the start of the round and handed all its members some presents which symbolize the friendship between the United States of America and Kazakhstan. As fate wants it, the US team faces Kazakhstan in both sections today. Mr. Wright made the symbolic first move on the board of Darius Swiercz and Rinat Jumabayev, while Mr. Lyng did the same on the first women’s board between Zhansaya Abdumalik and Tatev Abrahamyan. A keen chess player in his youth himself, Mr. Lyng admitted he had been following the championship very closely from the start, and felt especially proud when his countrymen defeated China on the second day. The whole visit proceeded in a friendly and relaxed atmosphere. The representatives of the US embassy were very approachable and available for the media. A short interview with the Deputy Chief of Mission can be viewed at https://www.youtube.com/watch?v=vw5LN6tIDjA. Before his departure, Mr. Lyng announced his willingness to take part in the closing ceremony on March 14th. 1. The WCCM regulations are currently being developed. They allow to hold the match in multiple cities if this promotes chess and does not present excessive logistical problems for the WCCM participants. 2. The recommended WCCM prize fund will be at least 2 million Euros. 3. The winning bid will be selected on a competitive basis according to a transparent procedure that will involve a reliable auditing company. 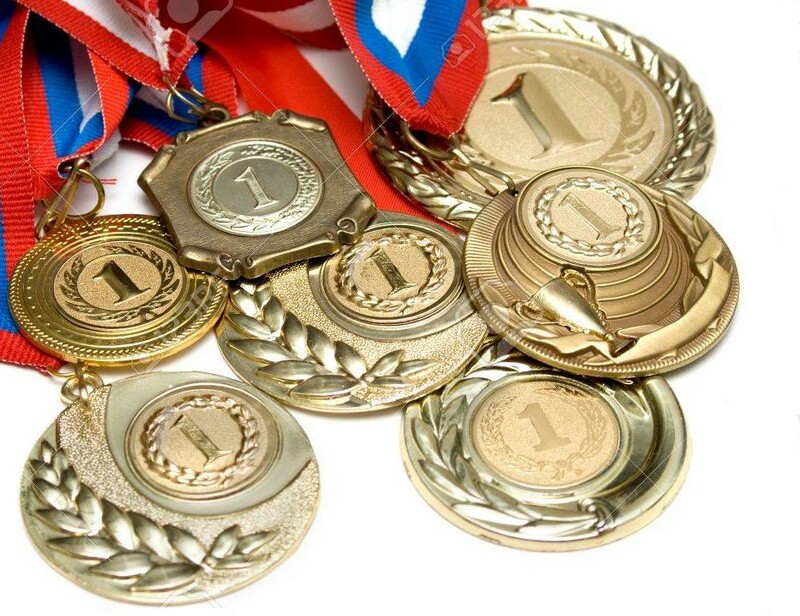 All bids should be submitted by the due date in sealed envelope or scanned documents to the FIDE Secretariat, postal address: 9 Syggrou Avenue, 11743 Athens - Greece / Fax: (+30) 2109212859 / Email: office@fide.com by 6th June 2019, 16:00 local time (UTC/GMT + 2 hours). Please visit the official website wteams.astana2019.fide.com for LIVE GAMES. Persons requiring further information, or interested in becoming members of St. Kitts and Nevis Chess Federation, may visit The Ripple Institute at 12 Independence Square West, Basseterre, or contact SKNCF by email sknchessfederation@gmail.com or call: 661-1979; 661-5313; 662-9030; 765-1979. FIDE and all four continental chess associations signed cooperation agreements. The major element concerns the allocation of up to 300’000 euros per year by FIDE for the implementation of project for the development of chess. The whole work will eventually be evaluated by key performance indicators. Thanks to the experience gained during the last World Championship match, the Global Strategic Commission proposed a few modifications to the rules. These were extensively discussed by the Presidential Board and a final decision will be taken soon. The rules of the Candidates Tournament will be similar to previous cycles, but it has been decided to increase the prize fund from 420’000 to 500’000 euros. Consequences will be beneficial not only to FIDE but also to national federations. Indeed, by gaining external financial support, FIDE will be able to fulfil one more promise made during the presidential campaign. Thus, fees and mandatory payments from national federations and inpidual players will be significantly reduced. One should bear in mind that this decision must follow the legal procedure and be approved by the General Assembly. If accepted, it will come into effect retroactively, so that federations will save a lot on their dues in January 2020. The Presidential Board also discussed the dress code for top tournaments, as this issue is essential to improve the image of chess and its main actors. A proposal has been put forward by Norwegian organizers to hold the FIDE Fischer Random Chess World Championship. However, a number of organizational issues, notably of legal nature, have to be examined carefully before coming to a final decision. Season 15 of the Top Chess Engine Championship will begin this March 5th at 20:00 CET. It will feature a record number of engines to accommodate the booming sector and a record ELO of the participants. A total of 44 engines will face off in a division based system to determine the current status quo of strength and the grand champion of TCEC. Stockfish has dominated the Top Chess Engine Championship for four consecutive seasons or a total of 10 months. It has a chance to expand this dominance in Season 15 for over 1 year (see the analysis of GM Matthew Saddler). Stockfish will have to show its best as significant challenge is coming from DeepMind’s Alpha Zero open source sister Leela Chess Zero. LCZero applied significant pressure in the S14 Superfinal, losing by a narrow margin 49,5-50,5. It also convincingly won its first major title the TCEC Cup and the inter season rapid bonus, thus showing high inspiration and determination for the title. These two engines, however, cannot relax, as Komodo with its innovative MCTS version and all other engines from the higher divisions will also bring in their best. Additionally, a new unique supervised learning neural network Allie+Stein will start from the bottom division and is aspiring to attack the top from its very first season. Where to follow the Top Chess Engine Championship? 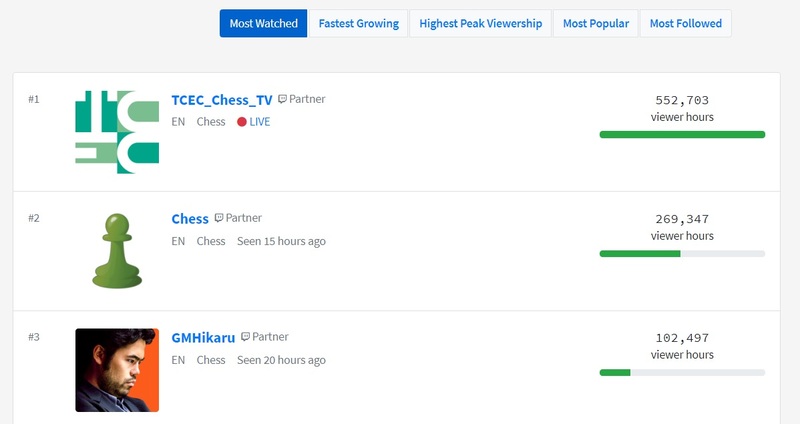 The Top Chess Engine Championship has a dedicated website with games going on 24/7 at http://tcec.chessdom.com . You can enjoy the games with live commentary by BlueFish (Stockfish running on 172 cores, represented by a blue line on the graph), Redmodo (Komodo on 128 cores, represented by a red line on the graph) and chat with engine authors, computer chess experts, and friends in the ever lively TCEC chat. Division 4 of the Top Chess Engine Championship will evolve this season 15. It will expand to accommodate all engines that are active and have ELO above 3000. It still remains testing ground for new engines and as support for the computer chess field, however, one cannot ignore that from this division have started engines like LCZero, Komodo MCTS, Ethereal, ChessBrainVB, etc. Division 4 will be with two groups, !division4a and !division4b. Each will contain ten engines that will play a 1xDRR tournament with time control 30 min + 5 sec. The top two engines of the groups will promote to a playoff – !div4playoff. That will be a 2xDRR event which will determine the two engines advancing to Div 3. **If a game interrupts with 7 pieces on the board, position on the board at the instant of game server interruption will be adjudicated according to 7-man EGTB. There will be no change of the 3 strike out rule this season, due to the multiple cases that have to be covered. An engine update during a division will count as a strike. The engine uniqueness requirement stays intact , as worded in the S14 rules and regulations. For the first time ever a national body has been formed to promote the sport of Chess in Grenada. A Grenada Chess Federation (GCF) was established by unanimous resolution and launched last Thursday (February 28th) at a special meeting of over forty (40) chess enthusiasts at the Grenada Olympic House at Mount Rouge, St George’s. Special guest at the meeting was celebrated British Chess player and Grandmaster Nigel Short who is on a mission throughout several OECS islands to ‘spread the gospel of chess’. Grandmaster Short is also a Vice-President of the World Chess Federation (FIDE). Those gathered at the meeting used the opportunity to complete registration forms to become members of the GCF and most have already paid the EC$25.00 subscription agreed upon for the first year of membership. An Interim Council has been established to undertake the work of the GCF until the first Annual General Meeting scheduled for May 16th, 2019 when a constitution will be adopted and a formal executive elected. The 14 member Interim Council comprises Ruggles Ferguson, Carlyle Glean Jr, Terrence Smith, Kwebena Amen, Carlton Lendore, Jesse Green, Gennard Roberts, Allister Charles, Gregory Renwick, Justin Pierre, Kinna Marrast-Victor, Lincoln Bartholomew, George Joseph and Terrance Slocombe. Critical tasks of the GCF include promoting chess in schools – both primary and secondary - and in communities; organizing national and other competitions; becoming a member of the World Chess Federation; and securing assistance for the widespread development of Chess throughout Grenada, Carriacou and Petite Martinique. The GCF targets a membership of 100 by the May 16th AGM. President of the Grenada Olympic Committee (GOC), Royston La Hee, who delivered brief remarks at Thursday’s meeting, welcomed the initiative taken to form a Grenada Chess Federation and pledged the support of the GOC. Last Thursday’s gathering culminated with Grandmaster Short taking on 25 chess players, simultaneously, in exhibition matches. He won 24 matches and drew one against Jesse Green, a teacher at St Joseph Convent (St.George’s). Addressing the meeting before the exhibition matches, Grandmaster Short extolled the virtues of Chess, describing it as “the ultimate mind game…nearly infinite in its complexity”. Once considered a game for aristicrots, it has now become “a game for everyone” with millions playing worldwide, Grandmaster Short noted. 189 countries are now members of FIDE, making it one of the largest sporting bodies in the world. Island Catering contributed refreshments for the launch and exhibition matches. President of Grenada Olympic Committee Royston LaHee speaks at launch of Grenada Chess Federation. Grandmaster Nigel Short sits at right together with Ruggles Ferguson and Carlyle Glean Jr. Terrence Smith is at extreme left. Chess in Grenada has received a significant boost with the recent visit of Grandmaster Nigel Short MBE, one of the most celebrated British players. Grandmaster Short left Grenada over the weekend, following a four-day visit here ‘spreading the gospel of Chess’. A world championship finalist in in 1993, and once ranked No 3 in the world, Grandmaster Short has been playing Chess for over 48 years. In a packed four-day programme (February 26th – March 2nd) Grandmaster Short participated in the launch of the first ever Grenada Chess Federation – GCF (February 28th) where he spoke and also played simultaneous exhibition matches against 25 players (earning 24 wins/1 draw); met with students of three (3) secondary schools; engaged the Minister of Sports at a luncheon meeting; and participated in four (4) radio and television interviews. On the lighter side, he thoroughly enjoyed himself at the National Cricket Stadium on Wednesday (February 27th), witnessing England defeat the West Indies in an exciting ODI match, during which he met and had exchanges with several government ministers including the Minister of Education Hon Emmalin Pierre and Minister of Youth, Hon Kate Lewis. He used the opportunity to highlight the importance of chess in schools and among youth in communities. On Thursday & Saturday he was also able to experience the sheer natural beauty of Grenada during sight-seeing tours. Meeting at the GBSS Auditorium on Friday (March 1st) with over 100 students from Presentation Brothers College (PBC), Boca Secondary School (BSS) and Grenada Boys Secondary School (GBSS), who play or have an interest in playing chess, Grandmaster Short shared the benefits of the game in developing the mind and his own rich experiences as an international player. Noting that success only comes with hard work, he urged the students to take the game seriously, so that they too can compete in the international arena. Grandmaster Short was very encouraged by the meeting with Minister of Sports Senator Norland Cox (March 1st) who expressed full support for the chess initiatives being undertaken in Grenada and examined possible areas of co-operation with the FIDE (World Chess Federation) including training, provision of chess boards, and participation in international competitions. Grandmaster Short is a Vice-President of FIDE. On Saturday (March 2nd), Grandmaster Short left for St Vincent & the Grenadines on the 2nd leg of his mission to promote Chess. He is also expected to visit St.Lucia, Antigua, St Kitts and the Cayman Islands. World Team Chess Championship 2019, Astana, Kazakhstan Held from March, 4 to March, 15 2019. Open Section and Women section board results. Round 2 starts March, 6 2019 at 3 PM local time. Please visit official website for LIVE GAMES. Season 12 of the Top Chess Engine Championship saw the arrival of NN engines, modeled after DeepMind findings Alpha Zero, into public computer chess events. At that season LCZero played with CPU only. In Season 13 it was handed a GPU, and only a season later that neural network won its first major title. Besides LCZero, one more neural network entered TCEC. It was Scorpio NN by Daniel Shauwl. And even though it did not make it past Div 4, it showed a trend in computer chess: people understood the potential value and advantages of neural networks in chess. Season 15 is about to start and one more neural network is going to enter TCEC. This is a combined project by Adam Treat and his Allie and Mark Jordan and his Leelenstein. The new engine is called Allie+Stein, a unique engine by the TCEC rules that will start its quest for top positions and climb of the ladder from Division 4. Here is an extensive interview with the authors Adam Treat and Mark Jordan. Season 15 of TCEC will start this March 4th, live on the official website of TCEC and the TCEC Chess TV. Your engine Allie+Stein will be the new neural network in TCEC, making its debut this Season 15. Welcome to the Top Chess Engine Championship! Adam Treat: Allie is a very new chess engine, but represents a lot of hard work over the last several months, so I’m hoping TCEC can provide an opportunity to see how she stacks up against a host of more established engines. Combining Allie with the Leelenstein network will also be interesting given that both introduce new avenues of research in NN chess engines. 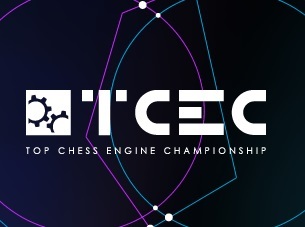 I an new to the chess programming community and culture and so I am excited to participate and learn through TCEC. Mark Jordan: I am excited to see how far an engine that uses supervised learning (SL) exclusively can go and I hope there will be more strong SL networks to compare against for benchmarking average performance and maximum performance of the method. MJ: Allie+Stein is a completely new engine and neural network produced, thus easily satisfying 2 out if the 3 conditions for uniqueness. It is possible eventually that I will rewrite the training scripts completely with some more new ideas in the future. Currently, training has some changes to the Leela training scripts. Can you share more on how is Allie+Stein engine being trained? MJ: Training started from a random initialized network, and consisted of mostly CCRL computer games (I used all of them available), and some weak Leela t30 games and some games from other experiments I was able to gather. These were were all about 100 elo weaker than t10. I tried several new learning techniques using these same games. My goals have mostly been focused on NN learning experimentation. I compared the learning schedule and optimizer that Leela used to different ones from some academic papers, and it seemed to improve performance, but it was still about 50 elo weaker than the best Leela nets. So I replaced all the weak t30 games with many more recent ones, using all of January’s games, while still keeping the CCRL games in the training window, and continuing on several more of my cyclical learning rate cycles. AT: To begin the tournament, Allie will perform MCTS based search with absolute fpu where new nodes start off with win pct of -1. The search is modeled after Deepminds paper’s. As I said above, I’m hoping to switch to AlphaBeta for the long term direction of the project. I’ve experimented with many, many ways of doing this with the networks generated by the Lc0 project and I think I’ve hit upon a way to achieve the depths required to maintain ELO level with MCTS based search, but it is not ready yet. In the future, I imagine we’ll see a lot of experimentation with different variations of search (mcts, ab) + eval (handwritten, NN) in computer chess engines. Hoping to be a part of that and to contribute to the shared pool of knowledge. What is the strength of Allie+Stein? What division do you expect to reach? Do you think stronger versions will come out as the season progresses and thus have a better shot at the Premier Division? MJ: I think the neural network seems to scale pretty well with more nodes. In bullet testing it loses to Stockfish quite a bit, but seems to hold its own in tournaments with more time. I believe it has potential to get to division 1, but will require some more work to better utilize multiple GPUs and support tablebases. I have some ideas to use tablebases in learning as well that could end up making the neural network Premier Division material. But for this season I will be happy even with just getting to Division 2. Comparing to the top NN engine now Lc0 , do you expect with your approach to have better future? MJ: The beauty of my approach using only existing games is I can train whole new networks from scratch in a week or two to try a new idea, something that would take the Lc0 project several months, even with 100x or 1000x more compute than I have. I hope to eventually show that some of my ideas must be good by how strong the network is and Lc0 can try them to become strong as well. And I will also continue to try good ideas from there as well. And the project is a great resource for people who need many millions of strong games, as it already has many more games available than all of CCRL even though it is much younger. And sadly fishtest doesn’t store and host all of its games. So I expect to see some great symbiosis. AT: I expect that whatever advances are made by one engine will (with time and effort) be incorporated into other engines. As they should be! We are all standing on the shoulders of the pioneers in computer science and chess engine programming that came before. I do think that AlphaBeta is a superior search method and that there is no reason that an AB+(eval method) engine can’t compete favorably with an MCTS+(eval method) regardless the eval method. But this is just my theory and worth very little until proven. Only the future will tell. What are your thoughts on the current hardware balance at TCEC? Are you happy with the hardware your engine is going to play on? AT: Considering that I’ve never personally tested Allie on this level hardware, sure I’m happy. I just hope she scales well enough. Stockfish has been dominant at TCEC for almost 1 year. AT: Stockfish is the strongest engine until proven (convincingly) otherwise. I have great respect for all the developers who work on Stockfish (and other engines for that matter) and think the community of chess programmers is pretty collegial. MJ: I very much support non-private engines, so I am glad to see that there has never been a private engine to win the Superfinal. And even more glad that it seems that free and even open-source projects can win. I am glad such excellent chess is truly accessible to all. Alexander Lyashuk from Lc0 shared in an interview that he expects at least 5 NNs to appear and they to dominate computer chess. Do you share this vision? Do you expect one of those NN engines to be Allie+Stein? AT: I do think it is only a matter of time before NN eval is shown to beat handwritten eval regardless the search method. Right now, if you limit the number of nodes – hands down – any of the NN’s will beat the traditional handwritten eval engines. This is just a fact. Still, I have great respect for the ingenuity of those writing the traditional engines. 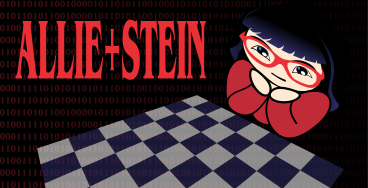 I hope Allie+Stein will be a meaningful engine in terms of helping to advance the state of art in computer chess programming in the near future. MJ: As I mentioned above, I am excited to see more projects, and I hope there will be enough of them that we have to pick the most exciting and unique ones. We can use them to develop more tests to determine how unique they are in their ideas of openings and in general play, and which ones are truly beyond average. Of course I hope to have one of these beyond, so the top 5 sounds nice! Stockfish continues to dominate computer chess after defeating LCZero at the Superfinal of Season 14 of the Top Chess Engines Championship. This is a fourth consecutive title for the open source engine – after winning Season 11 of TCEC last April 2018, Stockfish never let go the title. This time, however, it was a really close fight. Until the very last game the match could go in any direction. In the end Stockfish won 50,5-49,5 (+10 =81 -9). Defending its title by Stockfish in Season 14 started in the Premier Division. There Stockfish was merciless – it qualified for the Superfinal as clear first and without losing a single game. Considering this was the strongest Premier Division in the history of TCEC, the achievement of Stockfish may remain a unique feat for many seasons to come. For the first time in many years, the dominance of the big 3 – Stockfish, Komodo and Houdini – was disturbed this Season 14. The world’s strongest open source neural network LCZero managed to outwit both Komodo and Houdini and grabbed a last minute ticket to the Superfinal by finishing second at the Premier Division. Few believed that LCZero could put up a serious fight in the Superfinal. The dominant performance of Stockfish in the Premier Division and the shaky play of LCZero were pointing towards a landslide victory for the reigning champion. But every chess fan was in for a surprise – LCZero entered an experimental network , which utilized the latest findings by DeepMind. The result was astounding – the Superfinal turned out to be the most contested TCEC title in the history of computer chess. In the first three pairs of games – QGD, Tarrasch (von Hennig-Schara gambit), Sicilian, Najdorf (Byrne English attack), and King’s Indian (5.Nf3) – LCZero put up a serious fight and a good understanding of the position. The first decisive blow came in game 9, Stockfish caught LCZero unprepared in a King’s Gambit line. Right in the next pair of games, Stockfish converted its game with white in the Catalan opening, increasing the score to 2-0. Just as everyone was saying “this is the beginning of the end of the Superfinal”, LCZero returned a game in the French, Tarrasch (Guimard main line) and yet another in Nimzo-Indian, classical (Pirc variation). After an exchange of blows in game 16 and game 17 , it was time for Stockfish to speak – 3 consecutive wins! Thus, the two engines finished equal in the first half of the TCEC Superfinal. This was just a virtual mark, but now everyone was convinced – this Superfinal will not resemble anything seen before. A decisive moment in the match came in games 65. LCZero created a winning position – Stockfish showed +153.1, showing that there is a tablebase win in this position. However, that was a 7 pieces tablebase win and no automatic adjudication happened. Rather the game continued and LCZero did not manage to convert. Had it been a previous season, the game would have been adjudicated under the tournament rules that if the engines agree on a +6,5 eval for a certain number of moves the game is automatically scored. Under the new rules of Season 14, the engines were forced to show more understanding as to how to convert a given position, triggering the rule after a +10 eval. LCZero’s +8.92 evaluation was not enough and a virtually won game finished in a 50-moves rule draw. Although this game will remain in the history of computer chess as one of the most dramatic games ever witnessed, the match was far from over as 35% of the games were still to be played. The tension increased game after game – LCZero was building up advantages, but Stockfish as a true “minister of defense” was bringing the games to equal score. What’s more, Stockfish started converting its own advantages and turned the match around. With that last win with black Stockfish took the lead in the match and did not let it go until game 100. A very difficult match for both sides which certainly deserved the popular name “first match of the end of an era”. So far the era of Stockfish continues full steam ahead. Season 14 is over with a fourth consecutive title by Stockfish. But there is no time to relax as Season 15 starts this March 4th – with a record number of engines, a new neural network, and the highest ELO ever seen in computer chess. Chess enthusiasts in Grenada will have an historic opportunity this week to play celebrated British Grandmaster Nigel Short MBE in an exhibition match. Grandmaster Short, who was once ranked number 3 in the world (1988-1989), intends to engage, simultaneously, a maximum of 25 players in the exhibition match which takes place on Thursday evening, February 28th, at the newly opened Grenada Olympic House in Morne Rouge, on which occasion a Grenada Chess Association (GCA) will also be launched. Thursday evening’s activities begin at 5.00pm and is open to all Chess players and persons interested in being part of the GCA. Grandmaster Short will be in Grenada from February 26 to March 2nd, ‘spreading the gospel of Chess’. A local Interim Chess Committee, which is working towards the establishment of the GCA, is co-ordinating the visit of Grandmaster Short who currently serves a Vice-President of the World Chess Federation (FIDE). The interim committee is spearheaded by Carlyle Glean Jr, Terrence Smith and Ruggles Ferguson. Apart from Thursday’s activity at Olympic House, Grandmaster Short’s programme includes meetings with Government and sports officials aimed at encouraging the spread of Chess in primary and secondary schools and in local communities. On Friday (March 1st) he meets with students of the Grenada Boys Secondary School (GBSS) & Presentation Brothers’ College (PBC) who play or are interested in playing Chess. That session takes place at the GBSS Auditorium at 1pm. Arguably the most celebrated British Chess player, Grandmaster Short is also a chess columnist, chess coach and chess commentator. Born in 1965, he has had a colourful career on the Chess board: learning to play at age 5; becoming the youngest ever participant in the British Chess Championship, in 1977, three days before his 12th birthday; becoming, in 1979, the youngest International Master in chess history; and becoming, in 1984, at the age of 19, the youngest Grandmaster in the world. He has been playing Chess for over 48 years. FIDE is pleased to announce the final list of Women’s participants in the IMSA World Masters Championship-Hengshui, China 2019. Humpy Koneru received the wild card nomination from FIDE President. For Men participants the deadline of registration is extended until 8th March 2019. FIDE is also publishing the list of next 12 reserve players as only 8 out of 16 participants have confirmed their participation so far. The players from the list below are welcome to send their registration form (in excel format), passport with validity of more than six months and their photo in white background by email to office@fide.com, mohd.al-mudahka@fide.com and emil.sutovsky@fide.com until 8th of March.